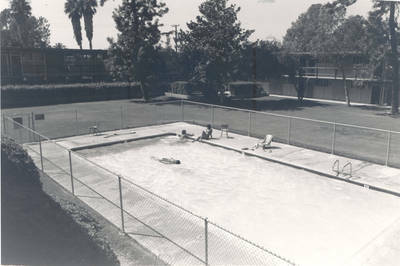 "Swimming pool for Cheverton Residence Hall [originally East Hall], Cha"
Swimming pool area for Cheverton Residence Hall [originally East Hall], Chapman College, Orange, California, ca. 1978. BW photograph; 4.25" x 6.5"